Warner Bros and Rocksteady have released a trailer for Batman: Arkham Knight showcasing the PS4 Exclusive Contents (Scarecrow Nightmare Missions, Classic TV Series Batman & Batmobile Skins, Justice League 3000 Batman Skin). Classic TV Series Batman & Batmobile Skins. Justice League 3000 Batman Skin. Rocksteady Studios have recently revealed the Batman Arkham Knight Dark Knight Returns and Batman Beyond character skins available via the Gotham’s Future Skin Pack, which will be available to all who pre-orders Batman Arkham Knight at any participating retailer. A new developer diary which focuses on the design of the characters in Batman Arkham Knight, has been made available that goes into deep detail on some of the game’s key characters, as well as a new live-action trailer titled “Be The Batman”. Rocksteady has released a great Arkham Insider episode for Batman Arkham Knight, which offers an in-depth look at the dual-play feature in action. The video showcases an amazing battle as Batman teams up with Nightwing to take down a whole room of enemies. The video continues with a bit Q & A which discusses some interesting aspects of the game. 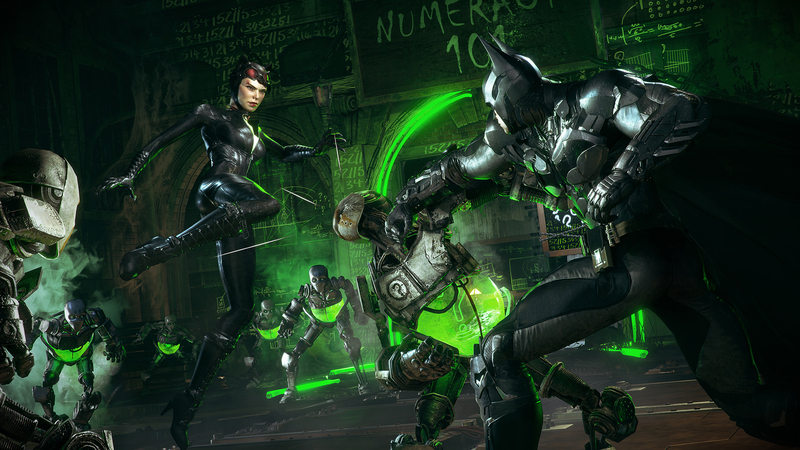 The amazing “Those who follow you” trailer for Batman Arkham Knight revealed a new weapon called the Disruptor. This new gadget has been tailored to meet the challenges of Gotham City’s vast landscape through its long range capabilities, and provides options that bolster Batman’s ability to control engagements like never before.